This chest of drawers adds a hint of vintage style. Inspired by French neoclassical lines and brought up-to-date with a contemporary painted finish. 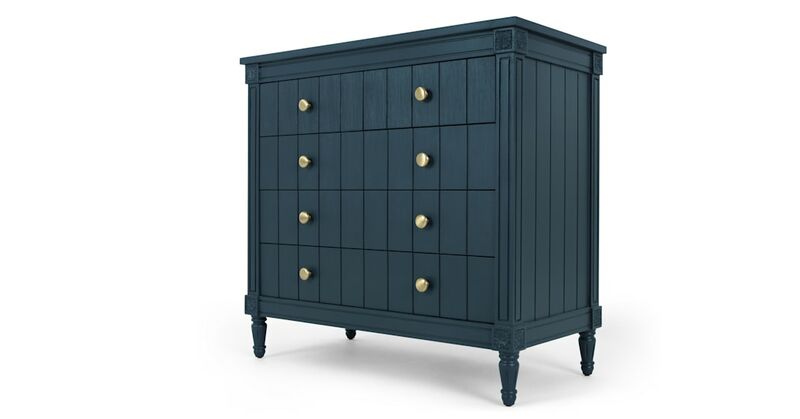 This chest features with five handy drawers for useful storage. We think it works well in any room, but looks especially good in bedrooms, living rooms and hallways. Crafted from beautiful rubber wood, this chest of drawers is finished with a decoratively carved block detail at the corners.